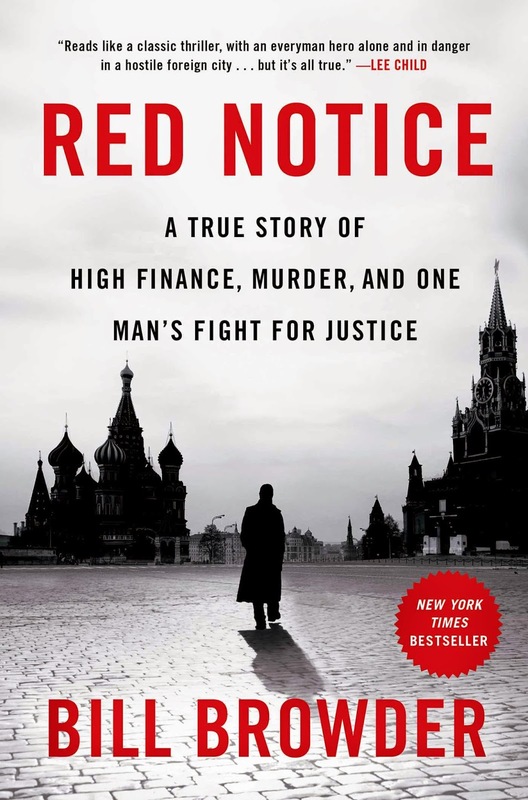 Red Notice: A True Story of High Finance, Murder, and One Man's Fight for Justice, by Bill Browder. Feb. 2015, 416 pages. Here is the author speaking to Standford students five years ago. He obviously used this speech as his outline for his new book. The last ten minutes are a YouTube video he made during the worst part of his incredible story. One does not need to open a dusty old copy of Gulag Archipelago to read about tyranny in Russia. That is so last century. Maybe millions are not suffering purges and dying in Siberian labor camps. But that evil still exists in Russia. It is profitable. And like the genocide of the past, it comes from the top. Bill Browder was a hedge fund manager in Moscow shortly after the Soviet bankruptcy. He was astonished to find investment opportunities that were reasonably valued at 1-2% of their true value. It was through Bill’s fund that Western dollars flowed into the new Russian private sector (voucher privatization) in the 90’s. But while the faces that redistributed Poland, East Germany and other countries 75 years ago may have changed, the greed, criminal inspirations and disdain for human rights have not. While not the focus of the book, you’ll read how Barack Obama, John Kerry and Harry Reid all played a part in this story of corruption and murder. You’ll read about the author’s uphill and exhausting battle to get human rights legislation through these barriers in the US congress and White House. He overcame huge odds. 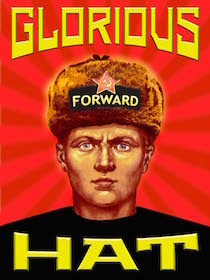 My biggest take-aways from this book are the explanations of “why?” Russians act as they do. What are the cultural influences that have led to their seemingly illogical behavior in personal, business and international interactions? This book can also serve as a “how to” manual for both predicting the behavior of tyrants and corrupt officials, and how to expose their actions. Red Notice is a fantastic book. It is a story of evil and justice, of fear and principle. I highly recommend this book to all audiences interested in foreign business, crime, corruption, tyranny and human rights abuses.